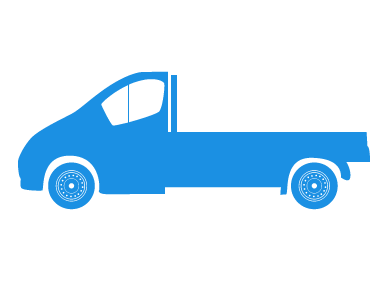 As a licensed scrap metal dealer, your vehicle is vitally important to your business and livelihood. At Adrian Flux, we know that if something were ever to happen to your vehicle, your business could grind to a painful halt, costing you customers and money. To help our scrap dealing customers stay on the road and in business, we have worked with our panel of nationwide insurers to offer you the ideal quote for your scrap metal van, making sure to keep you going whenever disaster strikes. Whilst many other insurers might shy away from the perceived risks of licensed scrap dealers and scrap metal van insurance, at Adrian Flux we want to help people with more unusual needs. Our competitors might consider you and your scrap metal van to be a big risk to insure simply because it is unusual, but we believe that since you actually rely on your van for work, you are probably less likely to take risks with it. Designed to get you back to work, to offer all the protection that you need and to help you keep money in your pocket, our scrap metal merchant insurance could be perfect for your business. With our 40 years experience of finding the right specialist insurance for people in your exact situation, we are sure to be able to find something to suit you. As with all of the insurance policies that we offer, we are able to provide you with a great range of benefits and discounts, helping to get the ideal cover for you, at a price that's right. Below are just a few of the features of our scrap dealer insurance, but feel free to call us or check out the policy booklet for more information. Our scrap metal van insurance is available for registered, certified, scrap metal dealers holding a current scrap metal dealer licence. Drivers must be aged 21 or over and have at least 3 years continuous driving experience. All drivers must be permanent UK residents to qualify. Our policy for rag-and-bone man insurance can be tailored to your needs. With differing levels of cover available, on top of a variety of discounts, you can be sure to get just the cover you need, keeping your business running without breaking the bank. Based in our picturesque Norfolk offices, we have over 40 years experience finding specialist insurance for people with all sorts of unusual businesses or needs. 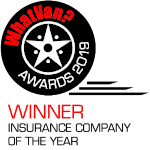 Originally founded to provide insurance for modified motors and kit cars, we now combine our wealth of experience with our extensive panel of insurers to help find all of our customers the best scrap van insurance quote for them. Not only can we provide affordable and reliable insurance to keep your scrap metal dealing business going, but we do it all complete with our fantastic customer service. All of our staff are highly trained insurance experts, and many are motoring enthusiasts themselves. Far more than simply phone operators and salespeople, our staff are on hand to answer any questions you might have about any of our policies and to help to find the right products for you. For your free scrap metal van insurance quote, call us today on 0800 081 8989 or complete the callback form on our website.